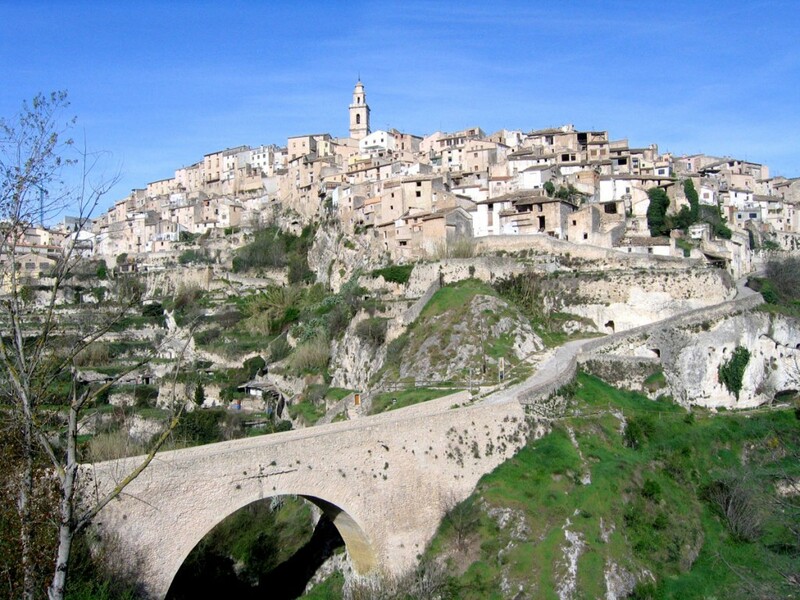 The villages of Banyeres de Mariola, Bocairent, Biar, Villena and Alcoy are all close to L’Alqueria del Pilar. Their very rich historical heritage makes then well worthy of a visit. The Castle: The castle stands at 830 metres above sea level. It rises high above the historic quarter of the village of Banyeres de Mariola, almost on the provincial border of Alicante and Valencia. From its tower, on a clear day, one can see three of the surrounding provinces. The castle dates back to the XIII Century and is of Almohad origin. 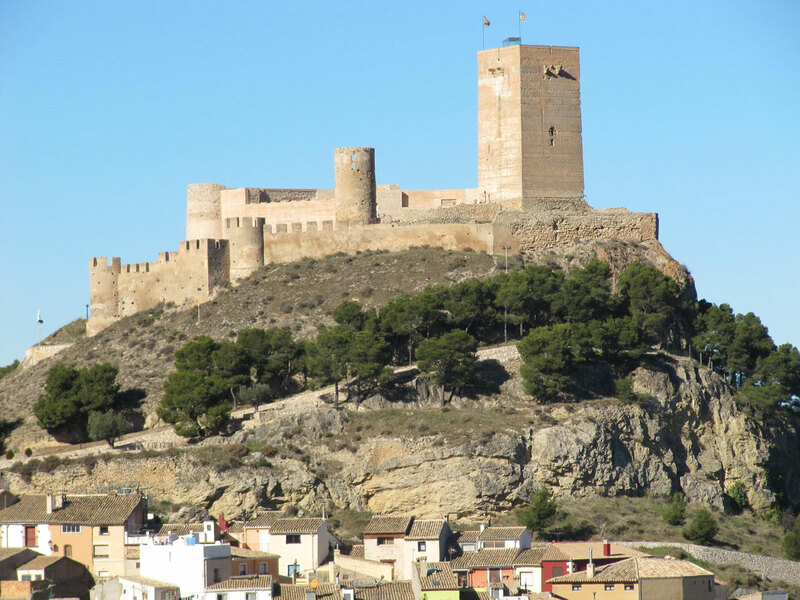 There are clear parallels with other local castles at Biar, Villena and Sax. It has undergone restoration projects in the eighteenth and nineteenth centuries, but eventually fell into ruin in the late nineteenth century. The major and most recent restoration commenced in 1968 and the most significant work continued until 1983. Today it houses the museum of local culture and fiestas and is also the headquarters of the ”Spanish Association of Friends of the Castles”. Font Bona Tower Archaeological Museum. A fortified tower of the fifteenth century. The Old Town: Its Arabic layout provides many enchanting and beautiful corners. Ther Moorish Caves: A network of 52 caves set into a cliff, now declared a national historic monument. 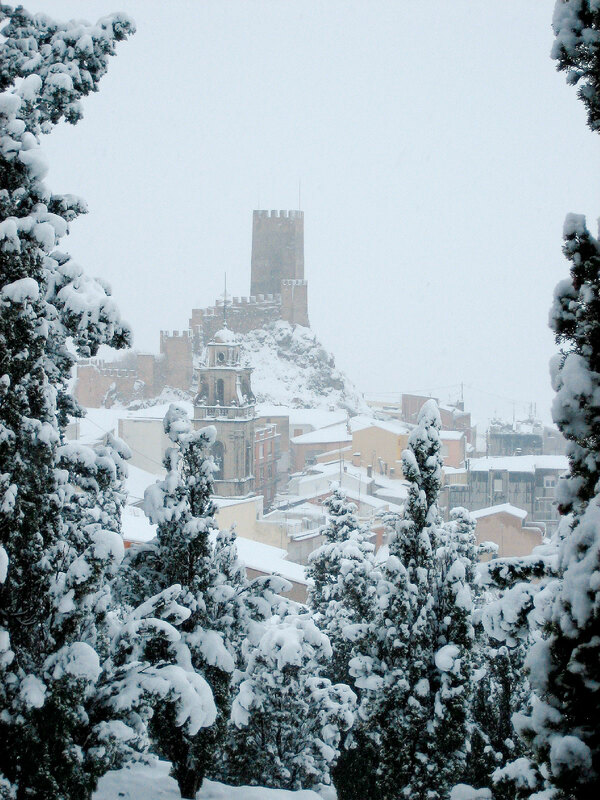 Cavas and snow pits: Close to the village is the “Cava de Sant Blai”. Many other ancient cavas and ice-pits can be seen throughout the Sierra de Mariola. The Bullring: Bocairent’s bullring is the oldest of Valencia, and is built into the surrounding bedrock. The Parish and parish museum, with works by Joaquin Sorolla among others. The Castle (XII Century). The most iconic building in the village is now a site of Declared Cultural interest.